There are a number of things that need to be taken into account before you can start your Invisalign treatment. You need to maintain a healthy gum condition during your Invisalign treatment. Teeth with signs of gum disease or reduced bone support can be treated after appropriate assessment. All teeth need to be checked both visually and with x-rays before treatment. It is very important that the teeth don’t need repair during Invisalign treatment as this could cause problems with the fit of the aligners. These teeth need assessment as to whether their presence and position in the mouth is going to interfere with the predictability of obtaining the final result with Invisalign. 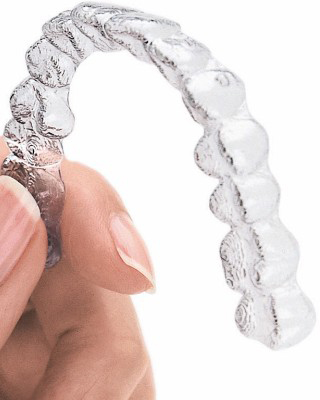 Rome was not built in a day, and Invisalign takes time to slowly but surely move the teeth into the desired position. Improvement in the appearance of the teeth once seen by patients is highly motivating. Remember you’ll need to carry on you, or in your bag everyday, a little aligner case to store the aligners in when you are eating and also a small travel toothbrush. At the end of the treatment, when the teeth have been moved into the final position, additional dental work may be needed such as veneers to make small teeth look bigger or inlays/onlays for back teeth to finalise perfect molar contacts. Occasionally, you may find that for skeletal reasons or because of the nature and type of movements needed to correct your malocclusion that Invisalign is not the best solution for you, we can advise you about this.